Charm, calms and refinement will make your stay an unforgettable memory. 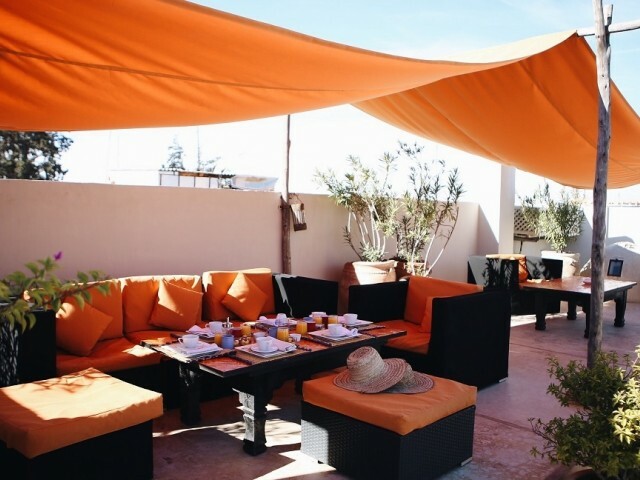 Espace Morocco enables you to visit and hold for your vacancies various lodgings in the main cities of Morocco. Also find the list of the hirings of cars and exits and leisures as well as a guide and a magazine to hold you informed last tendencies and cultural and artistic events. There is for all the budgets and all the desires, of the traditional houses of hosts such as Riads, the villas and the Kasbahs in Read more >hiring room of host for an immersion in the culture, of the formulas “villa of exclusiveness” to be as at home and of the apartments for more proximity. The establishments are presented to you in images of top quality or video with the opinions of the Net surfers and the services suggested, always with an aim of bringing a maximum of details of best possible quality to you. A planning on line also gives the possibility of knowing the availabilities of the rooms or the villas according to your dates of stay and of making your reservation directly near the owner. We wish that our site facilitate to you your approachs during the preparation of your vacancies, thus we propose a space hiring of car and exit to you and leisures with Marrakech to allow you to save time. A guide, a magazine and soon a diary help you with better knowing the country as well by its traditional side as by its innovations and its passion for modernity. 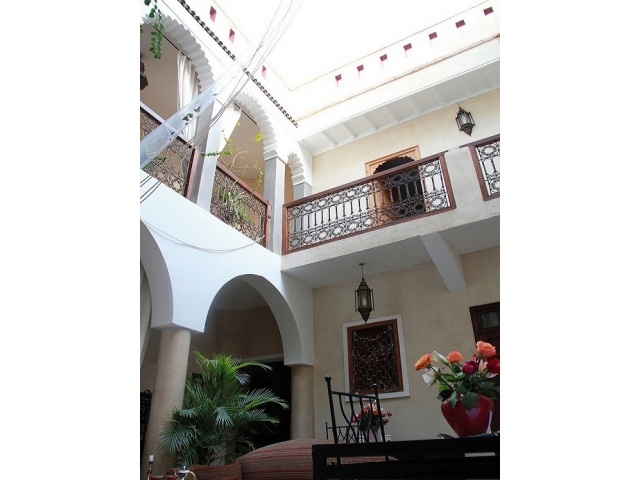 Riad Al Ksar is a pleasant residence located at deminutes only of the Jemâa-El-Fna Place in the medina. The house lays out of fifteen rooms any comfort and all the equipment necessary so that you pass a pleasant stay. The riad is composed of various spaces like Spa space, of a table of hosts to taste flat small goods or to organize a dinner with the candles as well as a space library and a solarium. With the programme of your vacancies in Riad Al Ksar: relieving, relaxation and discovered medina of Marrakech! All will be implemented to make you spend the unforgettable moments far from the daily stress. The Berber world opens with you in Riad La Croix BerbèreLuxe de Marrakech. As of your arrival, you will be plunged in the Berber culture, expatriation is guaranteed. 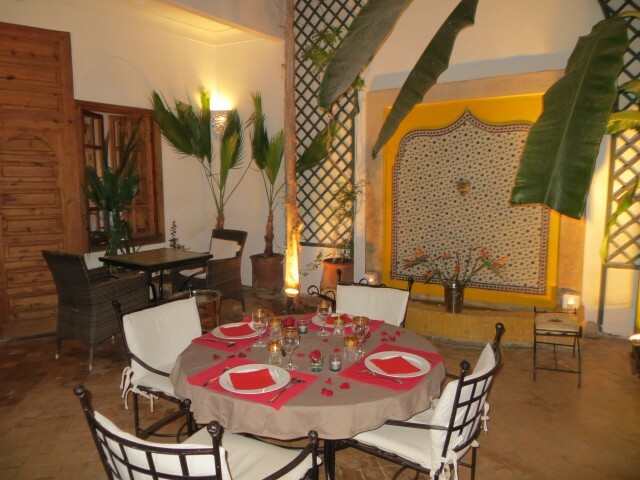 This splendid riad traditional open on outside is located in the animated district of Ksour to less than two minutes of the Jemâa-el-Fna Place. The owners wished that their residence be at the same time smart and traditional to make it possible to the hosts to fully benefit from all the aspects of the riads of the medina. The house has three continuations and four rooms any comfort to pass a pleasant stay in the middle of the medina of Marrakech. A true little place of paradise to less than three hours of the European large capitals. 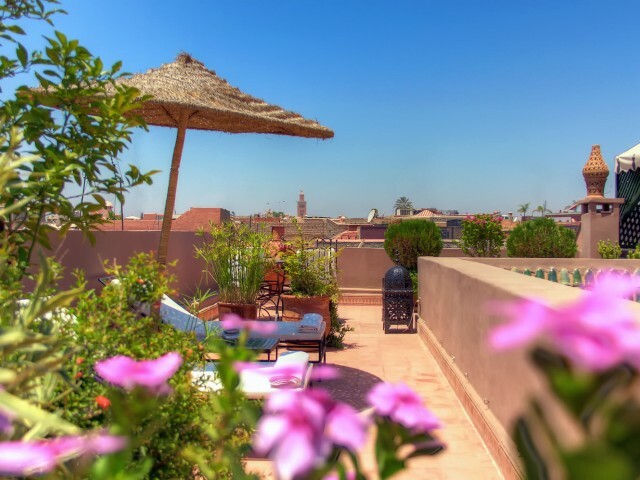 Le Riad Alili Welcomes you pay a charming holiday in the heart of the medina of Marrakech in the popular and lively district of Bab Doukkala . The riad is located about ten minutes from the Jemaa el Fna . The area is very lively with its small shops , these merchants of all kinds and easily accessible. You can finally discover the medina like you 've never seen. Riad Alili is a beauty and luxury case open to the outside . 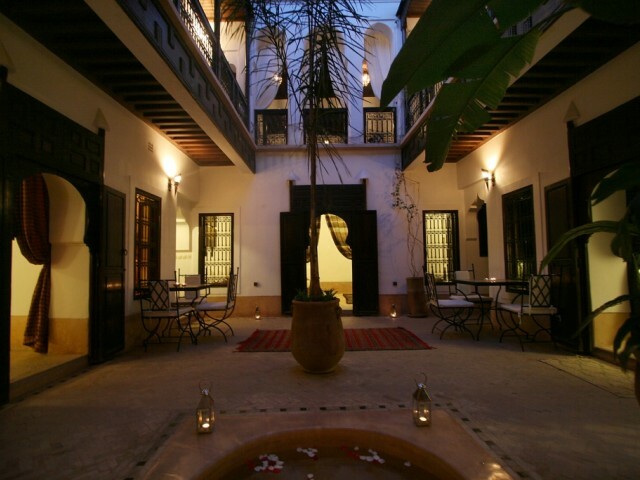 The riad is composed of 2 rooms and 5 suites of beauty. Children are welcome at Riad Alili . Small games , books and a few activities they are offered during your stay ! What more ?